two stamps (0.39 & 0.43 GBP) out of a set of four stamps (only those two stamps are bearing the official Europa logo).
! 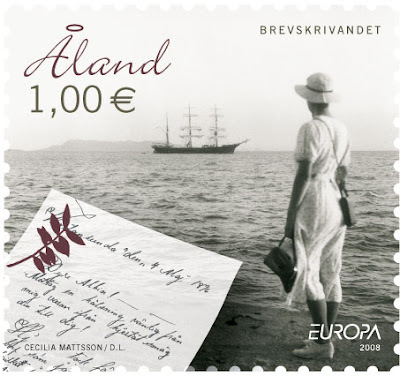 note that none of the stamps bear the official Europa logo ! The Iron curtain has fallen. 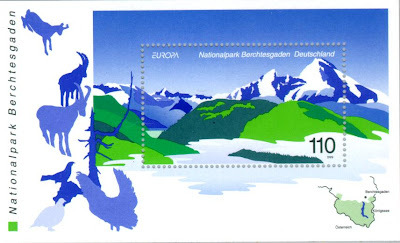 The Europa stamps borders extend more to the east of the European continent. Due to the end of the USSR and Yugoslavia, the nineties we will see many new countries joining the Europa stamps collection. 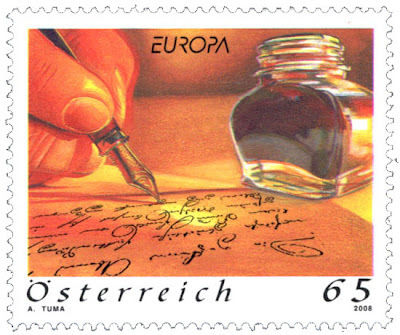 In 1990 (35 countries ; 78 stamps) the CEPT count new member countries already but they registered to late to take part at the Europa stamp issue dedicated that year at the post office buildings. 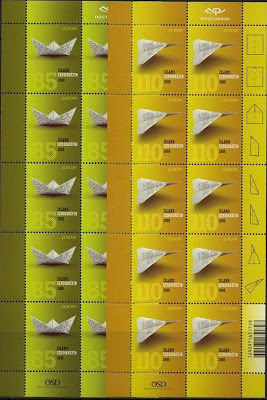 Hungary issued two stamps on the same topic but without the official CEPT logo that would have made real Europa stamps of them. 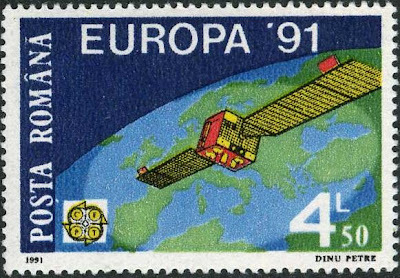 In 1991 (40 countries ; 83 stamps) the common theme was European aerospace and the first year that five countries, who were behind the Iron curtain some years before took part at the Europa stamps issue! Bulgaria, Czechoslovakia, Hungary, Poland & Romania where those five first ex-Communist countries to join. In 1992 (42 countries ; 90 stamps) it was time to celebrate the 500 years of the discovery of the Americas by Columbus and the last year the CEPT logo was in use on Europa stamps. 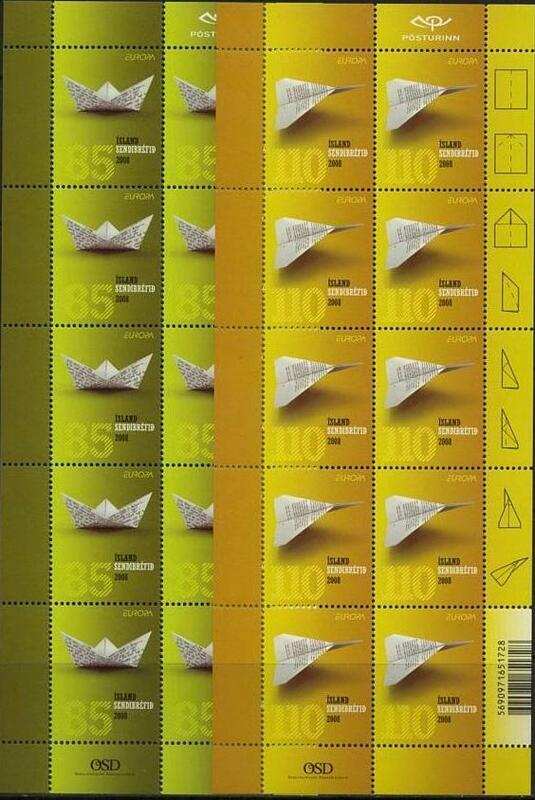 Albania took part for the first time producing an expensive first souvenir-sheet! Croatia was that year the first republic of ex-Yugoslavia to issue Europa stamps. 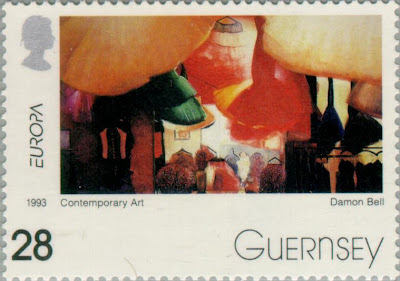 In 1993 (45 countries ; 92 stamps), the first year with the new Europa logo, the common theme was contemporary art. Lithuania, Moldova, Slovenia took part for the first time that year. Slovakia and the Czech Republic for the first time as two independent states and the Vatican took part again for the first time since 1969! That year two unofficial issues appeared. 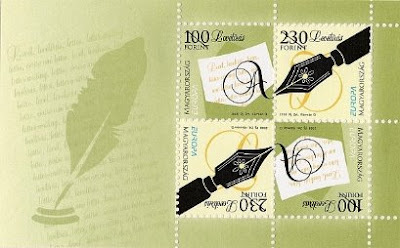 The first one from: Belarus; although the new logo was introduced that year they used the old one on there stamps. The other one from the Croat post of Bosnia and Herzegovina. It was the first postal administration of Bosnia to issue Europa stamps but they weren't recognized by the UPU at that time, that's why their issue is also considered as unofficial. 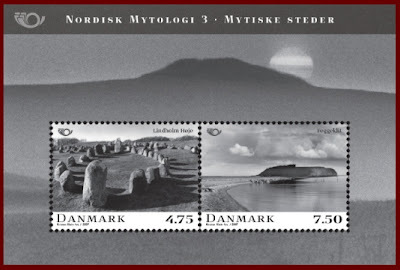 In 1994 (48 countries ; 85 stamps) the new countries came from the North! Åland, Greenland, Estonia and Latvia took part for the first time. The theme was great discoveries that year. The European construction leads to peace and welfare on the European continent. 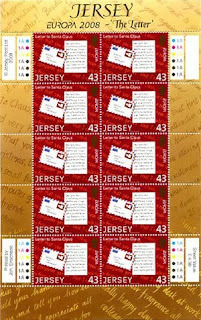 In 1995 (48 countries ; 90 stamps) it was time to celebrate the 50 years of the end of World War II. 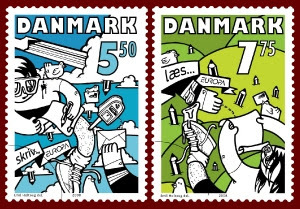 The Europa stamps celebrate it through the peace and freedom theme. Russia took part for the first time that year, but also Bosnia and Herzegovina. What a symbol for a country who suffered so much of the war during the 90's! 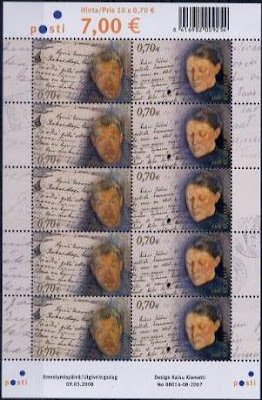 In 1996 (52 countries ; 89 stamps) it was time to celebrate the famous European women. New country to take part that year: Macedonia, it was also the last of the ex-republics of former Yugoslavia to issue Europa stamps. 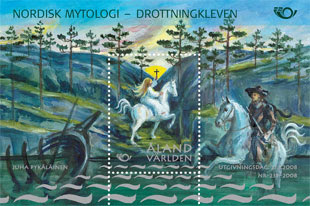 In 1997 (54 countries ; 96 stamps) it was time for a theme that produced plenty of beautiful stamps: tales and legends. Armenia and the Ukraine took part for the first time and also the Serb post of Bosnia and Herzegovina but with an unofficial status. 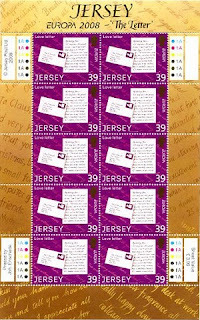 The next year, 1998 (56 countries ; 94 stamps) had festivals and national celebrations as common theme. Azerbaijan, Georgia took part that year for the first time as Belarus but for the first time with a legal issue. 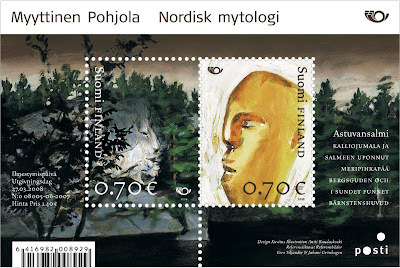 In 1999 (56 countries ; 100 stamps), nature reserves and parks.